Blueberries were a little cheaper in the store last week and I could not resist them, so I ended up buying some. Then there is always the questions what do I make with them. I love making scones with them, but then you can only post about blueberry scones so many times. I have posted a least a couple of recipes for these yummy berries. Then I got the idea of blueberry biscuits. I haven’t posted any recipes on biscuits yet or at least I don’t remember any. Well that led to me thinking what is the difference between a scone and a biscuit. So I turned to the internet and looked each one up on merriam-webster.com. According to this on line dictionary a scone is a rich quick bread cut into usually triangular shapes and cooked on a griddle or baked on a sheet and a biscuit is a small quick bread made from dough that has been rolled out and cut or dropped from a spoon. They really don’t sound much different do they? The other thing that I noticed is the scones that I have made in the past always used butter as for the biscuits they used shortening. But for the people eating them they all said that the biscuits were lighter and softer than the scones that they have eaten. 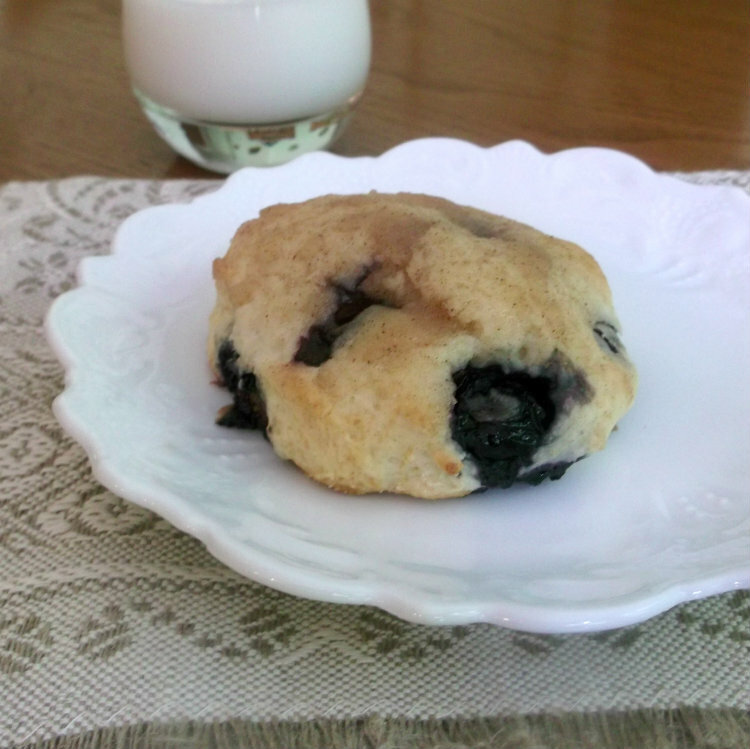 Biscuit or scone doesn’t matter I love them all when blueberries are involved. And as for these biscuits they are made a little more special by brushing them with a buttery sweet topping as they come out of the oven. They will be on my list to make again that is one thing I know for sure. Mix 2 cups of the flour with the sugar, baking powder, lemon peel, salt, and baking soda in a large bowl. Cut into shortening until mixture resembles coarse meal. Mix egg and buttermilk then stir into the flour mixture. Stir in the frozen blueberries. Sprinkle about 1/4 cup of flour on the counter top. Scrape dough out onto the flour; flour your finger and gently knead 6 or 7 times, just until dough begins to hold together. Pat dough into a rectangle or round 1/2 inch thick. Cut out rounds with a floured 2-inch cutter or glass. Place biscuits 2 inches apart on a lightly greased baking sheet. Bake in center of preheated oven for 12 to 15 minutes, or until lightly browned. Combine topping ingredients and brush over the biscuits as soon as they come out of the oven. 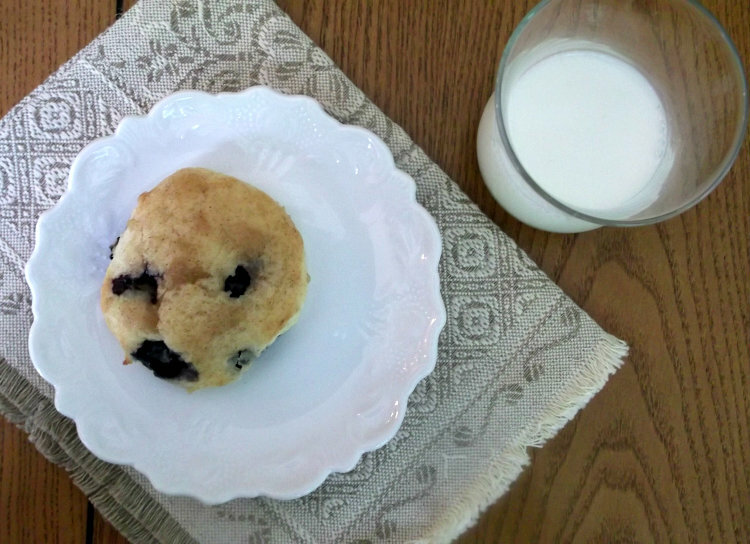 How delicious – I do like blueberries – the pinch of lemon and buttermilk – Yum! Great way to use blueberries! I’ve eaten a blueberry biscuit before, but never baked one. I need to! These looks fabulous – thanks so much. 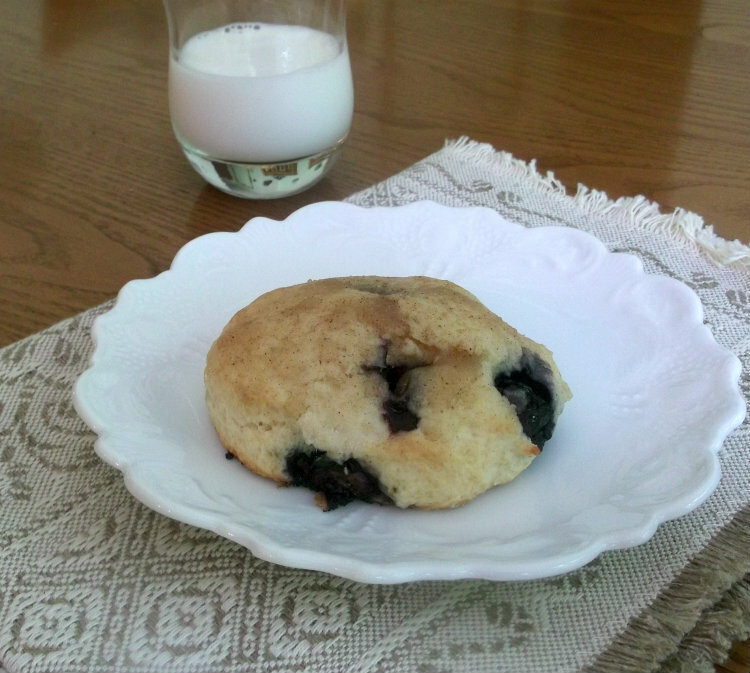 The blueberry biscuit looks great…and like the idea of topping with cinnamon and sugar…yum!